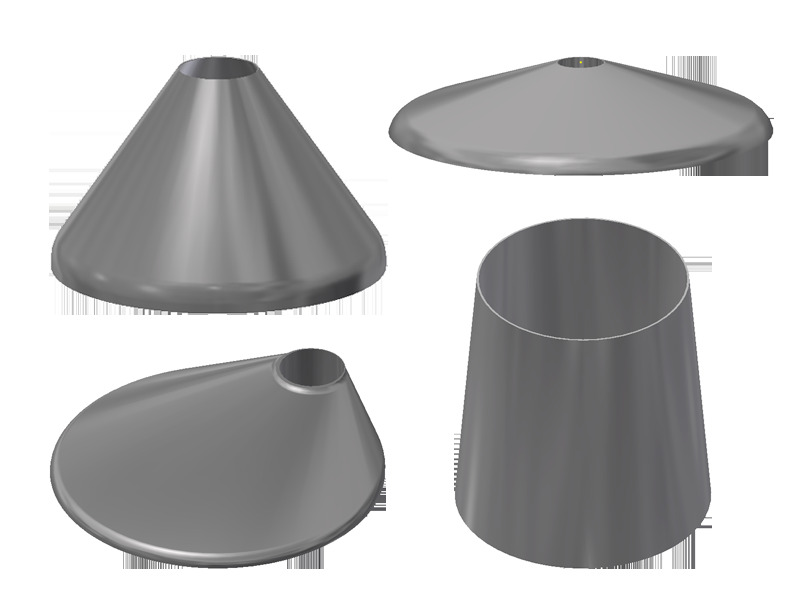 Cones offer many of the same features as tank heads, but is a tank component that has unique advantages that will help your customer's production processes. Many tank owners value cones for the additional volume and enhanced drainability they provide. Cones can also add height to the tank if needed. 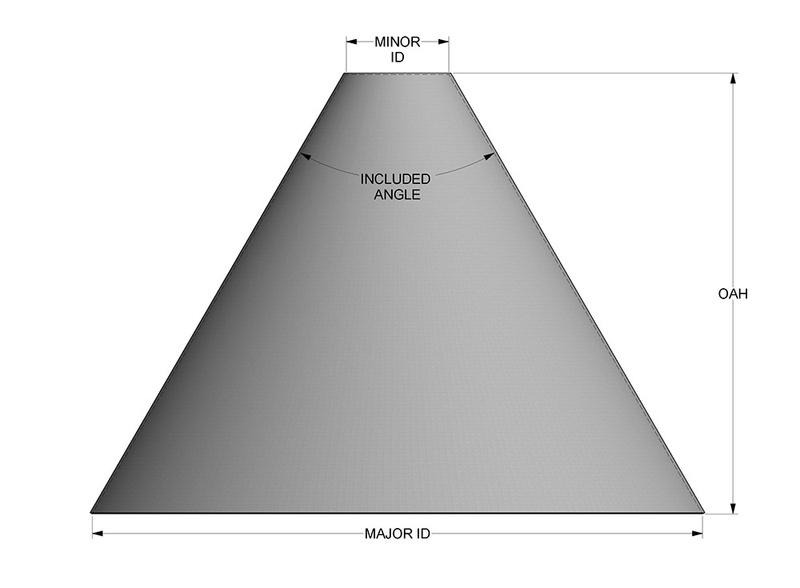 In addition to a wide variety of angle and height combinations, we offer three different cone styles: toriconical, concentric, and eccentric. Toriconical cones have a knuckle radius and straight flange, and they can comply with ASME code requirements in certain situations. Concentric cones are simply a cone with the minor opening in the center of the diameter. Eccentric cones typically don't have a knuckle radius or straight flange, but the minor opening is moved out to the edge of the cone.